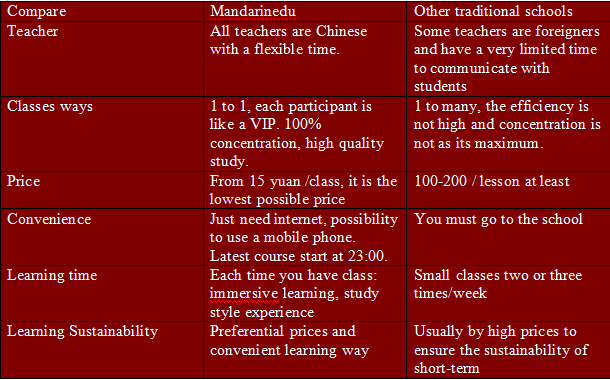 Mandarinedu is an effective Chinese online learning School which offers your real face to face Chinese learning Courses with a minimum cost of 8 dollars per lesson. Turn on your computer with your earphone,start a face-to-face mandarin course with your real overseas Mandarin teacher, the internet helps us realized this cheapest and effective dream bettween you and us. Learn Chinese on line extremely upside down the traditional expensive Chinese learning way, and Created a New Chinese learning way based on the internet. The Cheaper and convenient Chinese learning is coming to you. 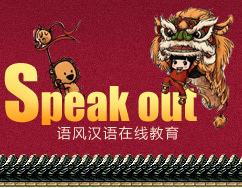 Thousands of Chinese teachers are waiting for your appointment on this website. You can make an appointment 2 hour before the class. 1. 1 on 1 real face to face classes. Mandarin Speaking and listening improved obviously in a short time. 2. The cheapest learning fee in the world. The lowest price in the world. 4 Dollars per class for a year package after discount now. CLick here to get more choices for different classes. All the mandarin teachers are native speakers. All the teachers have the certificates of Mandarin teaching. You will get into the Mandarin environment in the whole class. More and more Chinese qualified teachers are jining us, it makes your Mandarin learning more colourful. 4. The most convenient way to learn during your buse life. You can learn in anywhere anytime if you have one internet. We facilitate the learning environment to help you achieve a high-frequency, a short-term, and a continuous learning.